What's the best way to tell if you are dealing with a good witch or a bad witch? Why, you look at their hair of course! Sure many people will tell you to see if their skin is green or not, or if they are wearing bright colors, or all black, but we think the best way to really tell is by looking at the hair. Does this witch have beautiful strawberry curls? Then she is probably one of the greatest witches of all time, Glinda! We would recommend if you run into any witches with straight black hair that you should keep an extra bucket of water handy. Dorothy will always be excited to see those lovely curls coming to help her. Glinda has that affect on people. 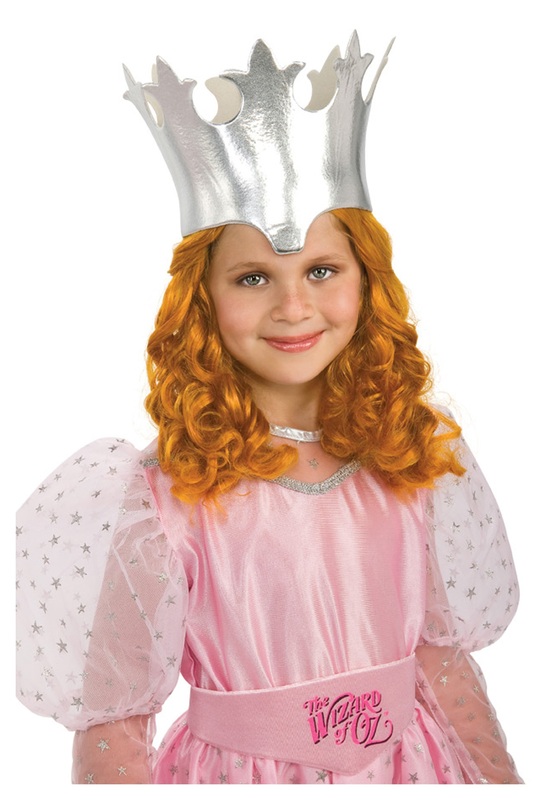 Your little one could too with this fantastic Glinda wig. It's a perfect addition to any good witch of the North costume. Be sure to check out the rest of our fantastic Wizard of Oz themed costumes for the whole family!